If you’ve updated your daughter’s wardrobe for the season, it might be time to accessorize, and Goxip’s edit of designer belts and braces for girls is here to help her put the finishing touches to any outfit! Shop cute designer solutions from this season’s styles - versatile PU leather belts with polished metallic belt buckles, elastic children’s belts suitable for any occasion, or rhinestone belts if your girl wants a touch of bling with her outfits. Goxip’s colorful collection of belts and braces is crafted from the most excellent skins, with iconic buckles and a modern twist. 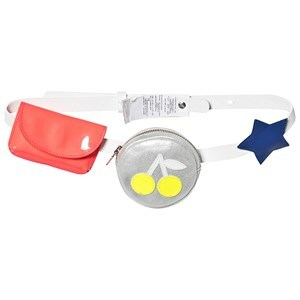 There are sporty and practical belts for girls who like to keep their wardrobe simple and some feminine options with unique prints and plenty of detailing. If she wants something extra stylish for her special occasion, you can opt for an elegant sash, with our satin sashes for girls being the most luxurious choice. Browse our collection of belts & braces for girls featuring the hottest brands, and complete your daughter’s wardrobe with the best girls’ accessories online.